Parking Lot Services does curb repair and construction in Northern and Central New Jersey. We will design a layout to work with the landscaping of your property and provide key safety and drainage protection. Think of curbs as both aesthetic and critical safety features of your parking lots. Curbs construction may use either asphalt or concrete. First impressions are important to a business, and great curb appeal starts with your parking lots, walkways, and driveways. At Parking Lot Services, we understand that it’s important that well-groomed pavements, from the curb to the building greet clients, customers, and tenants, Deteriorating pavement and curbs that need repair detract from a professional image. Importantly, postponed repair is actually more costly to fix and may expose you to liability down the road. 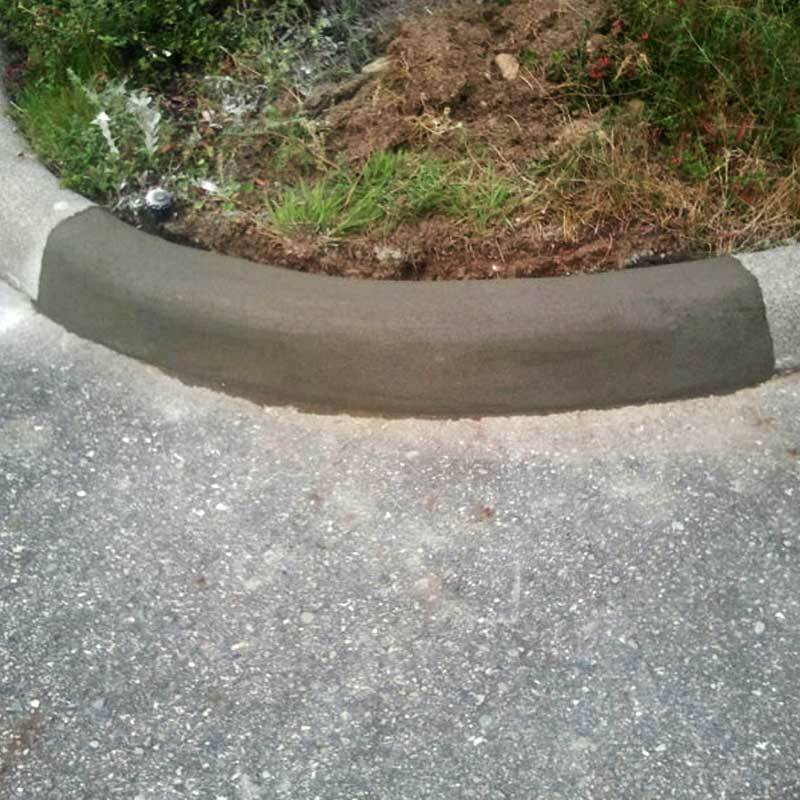 While curbs add to image, they also serve several distinctly utilitarian purposes. Curbs are a key safety feature, because they prevent motorists from skidding directly onto areas they shouldn’t be. They help keep snowplows away from landscaping or other prohibited areas. They also guide water flow to prevent erosion of expensive landscaping. In addition, finally, they are a key part of the drainage system. Curb damage is a natural and expected occurrence because of time, weather, and abuse. Whether it is to repair several segments of broken curb, or to install a new run, Parking Lot Services is ready to help you in an efficient and affordable manner. Call us to schedule a professional, thorough inspection and evaluation. We will recommend what’s best, keeping your budget in mind. Local businesses recognize Parking Lot Services as one of the most trusted sources for professional asphalt or concrete pavement repair and construction in New Jersey. We are proud and grateful for our numerous satisfied clients who return to us year after year, trust us with multiple properties, and refer their friends. Our team provides professional curb repair, curb construction, and curb maintenance. Andrew Muller, with over 20 years of experience with curb repair and construction and all aspect of asphalt paving and concrete work, personally assures client satisfaction for each project and assigns the appropriate team to complete the work on time. The entire Parking Lot Services team adheres to highest industry standards for materials, tools, and techniques. Quality work begins with a thorough evaluation, clear understanding of client needs and budgets, and a comprehensive plan. So, if you’re looking for a paving company that brings a full complement of services to the table without breaking your budget, choose Parking Lot Services. Contact our sales team now at 973 586 1111 for more information on how we can help you.